Reno Mattress Co. Inc. has been in business since 1910, manufacturing mattresses and box springs. We are a small family owned business and we don't work on commission. 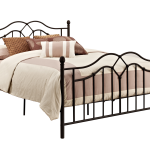 Let us build your customized bed today!